This rogues looks like: VirusRay, Antivir Gear, VirusProtectPro , SpyDown, SpywareQuake. 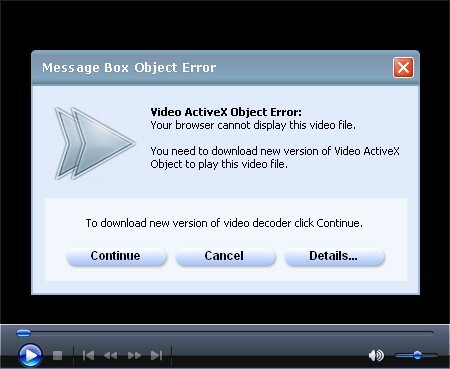 Fake Video suggesting Fake Codec installation, linked to IEDefender Rogue. A New fake Codec installer was found. (Thanks to nosirrah). 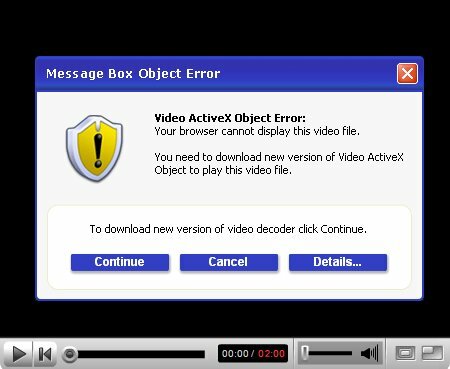 Compromised web sites display fake alerts about a software installation to watch a video. This Software installs a componant (BHO) in Internet Explorer displaying Fake Trojan Alerts. 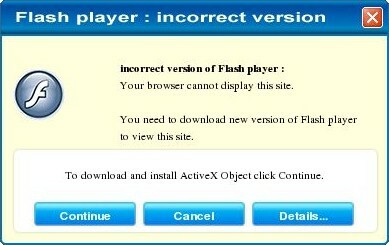 Flash Player incorrect version is a fake popup linked to a fake Video ActiveX Object (see Multimedia Decoder codec). This Trojan installs an Internet Explorer componant that displays alerts, popup, and modifies search results to encourage the user to install IEDefender Rogue.